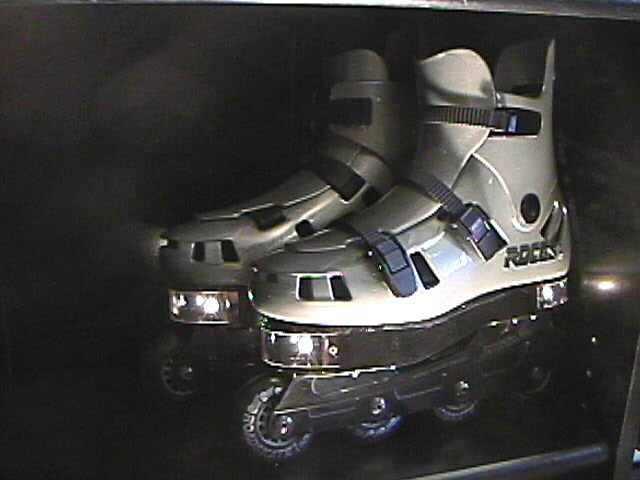 A roller skate has a light housed in a forward tip recess of a slab of synthetic material interposed between a boot and the roller truck. A lighted toggling push-button switch that espouses the back contour of the heel, can be activated by tapping the back of the heel against the floor or any other stationary structure. The light comprises a battery compartment occupying the deepest area of the recess. A lens contoured to blend with the outline of the sole tip can be releasably snapped against the frontal opening of the battery compartment. A bulb-mounting assembly is held sandwiched between the lens and the battery compartment. 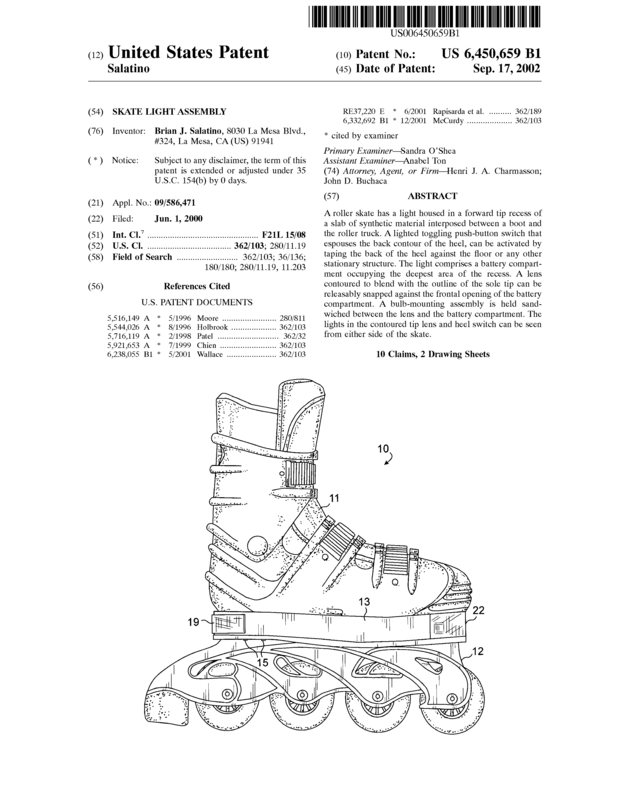 The lights in the contoured tip lens and heel switch can be seen from either side of the skate. 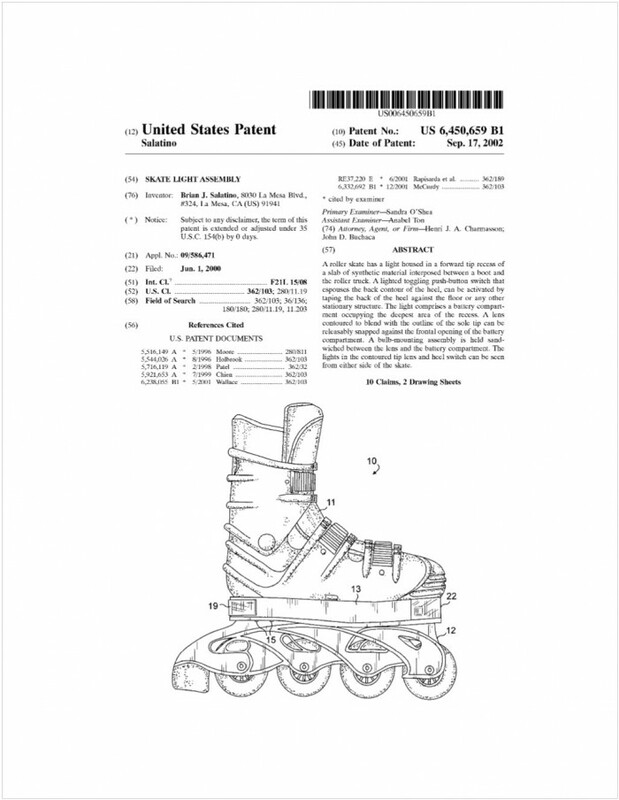 Page created at 2019-04-22 14:48:38, Patent Auction Time.